Local businesses and innovation experts are being invited to help shape content for this year’s VentureFest North East, using EventMovement. 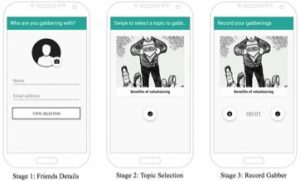 The free online platform, developed by digital civics researchers at Newcastle University, allows communities to propose, design and plan events, and is now being used to put delegates in control of a new People’s Choice part of the VentureFest North East programme. Each autumn the regional innovation conference gathers together hundreds of entrepreneurs, innovators and investors to explore current issues and new ideas relating to innovation with a range of leading experts. Based on feedback from previous events, the overarching theme for the session will be emerging technologies. Opinions are now being sought on specific topics and questions businesses would like to address. Estelle Blanks, Deputy Director at the Innovation SuperNetwork which delivers VentureFest, said: “Emerging technologies affect us all and it’s a theme of great interest to local businesses. But we want to know exactly what piques their interest. The move has been welcomed by regional business organisations including the Federation of Small Businesses. Regional Development Manager Simon Hanson said: “VentureFest North East has always been designed by businesses for businesses. We work closely with the team to shape the entire VentureFest programme according to the needs of our members. Businesses can suggest topics, vote for those already pitched by others and discuss ideas by visiting vfne.eventmovement.co.uk until 31 July 2017. This web platform will allow the event organisers to gather ideas, assess their popularity and use this information to design the People’s Choice session. For more information about EventMovement, please contact Dan Lambton-Howard. For more information about VentureFest North East please contact Innovation SuperNetwork Communications Manager Laura White on email: laura@supernetwork.org.uk or telephone 07739 126152. A new app aims to tap into and expand Greece’s “on hold” movement to encourage Greeks to support their fellow citizens. Open Lab: Athens was set up in the summer of 2016 to explore the design and development of technologies that support and strengthen solidarity structures in Greece. The OL: Athens team recently appeared on local radio to discuss their work and the political issues surrounding technology. They are working across a range of areas including education, health and democracy, but one of their most recent projects is with the “on hold” movement. Customers in shops and cafes can buy extra products, such as a cup of coffee or a loaf of bread, “on hold”. The shopkeeper keeps them behind the counter to give to people who cannot otherwise afford them. In this way people can buy products for their fellow citizens. OL: Athens has introduced App Movement to the on hold movement to create an app, On Hold Go. As with all App Movement projects, the app will be designed collaboratively by its future users, to reflect what they would like to see from it. This combination of organic social actions and digital technologies shows the potential for OL: Athens and has attracted the attention of local media. Vasilis Vlachokyriakos, who leads OL: Athens, will also be taking part in a panel discussion at the launch of the European Social Innovation Competition, organised by the European Commission. This year’s competition will be based around the theme of giving everybody equal access to the benefits of technological change. Vasilis will discuss this theme alongside industry leaders from across Europe. Written by Mark Sleightholm. For more information please contact Vasilis Vlachokyriakos. How do groups form in digital economies? Data Publics is a three-day conference Open Lab is organising in collaboration with Lancaster University. The conference explores the diverse ways in which “publics” are, and can be, constituted, provoked, threatened, understood, and represented. This includes scrutinising the role played in the formation of publics by new on- and offline infrastructures, data visualisations, social and economic practices, research methods and creative practices, and emerging and future technologies. The event is designed to facilitate cross-cutting conversations between designers, social scientists and creative technologists to explore challenges and opportunities afforded by thinking and working with “Data Publics”. This is an interdisciplinary conference and contributions from researchers within the areas of social science, design, new media art, data visualisation, and human-computer interaction are warmly invited. The event will comprise a combination of hands-on workshops, paper presentations and an exhibition of work. Day one will provide hands-on introductions to key methods for investigating data publics, involving two workshops running in parallel. One workshop – ‘Digital Methods/Data Visualisation’, led by David Moats – will introduce the digital methods and data visualisation approaches to conduct research in this field. The other – ‘Strategies, Tools and Participatory Processes’, led by Open Lab’s Clara Crivellaro – will explore the practicalities of using design strategies, tools and participatory processes to support the formation of publics. Days two and three of the conference feature academic paper presentations and exhibits from participants, with a focus on the way a diverse array of methods, analytical approaches, representational techniques and practical engagements might be related to one another and combined. This year, Newcastle University held the annual Digital Economy Network (DEN) summer school, which brought together early-stage researchers from ten national universities who collectively contribute research towards the digital economy. Having these researchers in one place provided an opportunity to capture their unique, yet shared experiences of being involved as a researcher in this network. However, current methods to support qualitative data collection are often led by researchers in a formal way (e.g. interviews and focus groups) or do not leverage the potential of digital technologies (national surveys), which are often time consuming to conduct at scale. Around the same time, I was undertaking research to explore new ways to utilize technologies to simplify the process of qualitative data collection. During which I developed Gabber, a mobile application (yes, another app for research) to capture conversations between peers using topics to scaffold conversations that they have experiences of and to publically share these for others to hear – perfect timing for a trial deployment at the DEN. Gabber has three stages to streamline this: (1) the interviewer inputs their friend’s details, including an optional photo/selfie if they desire, (2) they agree on and select a topic they want to discuss, and (3) they record and save the Gabber. Gabber’s unique characteristics are its incorporation and combination of traditional qualitative research methods within technologies to examine their joint effectiveness. Peer-led interviewing was used to capture conversations between users, snowball recruitment was used to diversify and increase the spread of participation across social circles, and a process of consent through follow-up emails with participants was used to give authority and transparency over the data they jointly created. Gabber was used at the DEN to capture the shared experiences of being a researcher by attendees, but what topics should be discussed, and who decides on these? Users should have control, and so prior to the event attendees were emailed and asked to propose topics that they would enjoy having conversations about. The most common responses were used and reduced to open-ended questions to elicit a breadth of discussions and ranged from: “what inspires your research” to “advice for new CDTs”. Given the crammed nature a summer school program, is there really enough time to have a gabber? Over the two-day event, fourteen gabbers were recorded by attendees from eight national universities, with a majority choosing to discuss their research inspirations and family’s perceptions of their research. Full consent to share the gabber created and to associate the optional photo was provided by all participants. This was surprising as a current challenge faced by citizens who contribute to or are involved in research is the attribution of the data they produce, and how they provide consent as the research project evolves. Gabber demonstrated the potential role of technologies to explore these challenges and to alleviate pressures facing researchers in these areas. Gabber could be configured and used by researchers to rapidly collect perspectives from their participants, or by citizens to collect data for their own shared agendas, such as informing local policy. This exploration into the role of digital tools to support and modernise qualitative research is an emerging interest of my own, which will involve further research and technology innovation. If you’re interested in collaborating or discussing how such technologies could benefit your work, then get in touch. For more information please contact Jay Rainey.